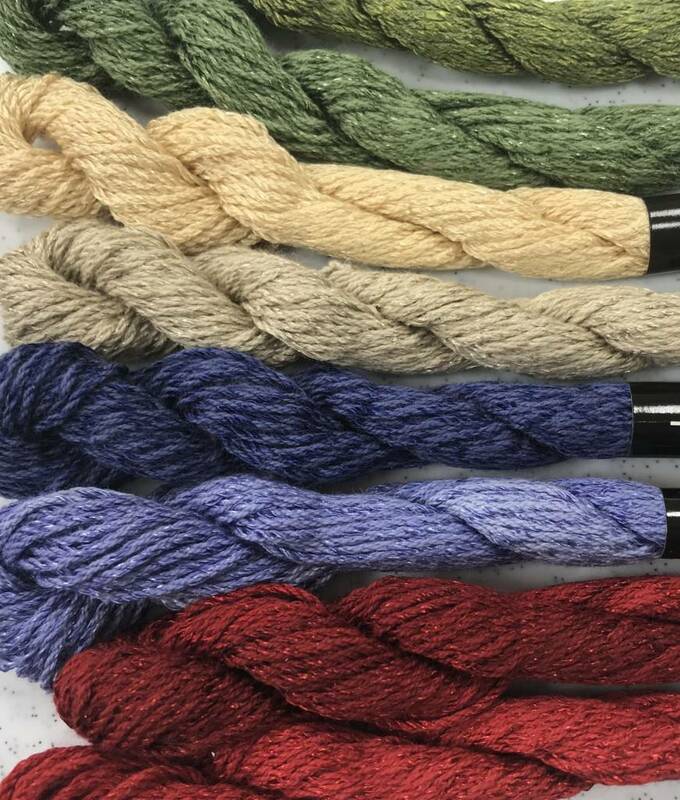 A single-strand combination of one ply of rayon with one ply of cotton, this thread has a great matte/shiny look. 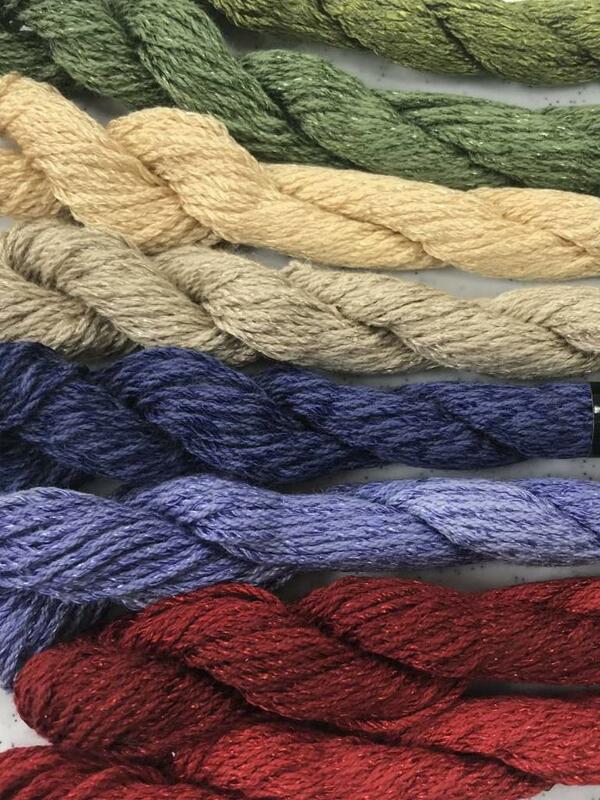 It’s my favorite Threadworx thread. On 10 mesh-canvas, use 2 strands. Mesh sizes 14 and 16 use a single strand. I find it a bit thick for 18 mesh. 13-mesh canvas uses 1 or 2 strands.